Dr. Moopen grew up in a town called Port Charlotte, on the west coast of Florida. He and his wife Sawsan moved to Orlando because they love the broad range of activities available in a larger city. Together they have a son named Aaric and twin toddlers named Armaan and Samara. If you check our Facebook page you will see quite a few pictures of them! Dr. Moopen enjoys playing tennis, snorkeling, traveling with his family, and rooting for his beloved Florida Gators. He and Dr. Anderson even attend Gator games together whenever they get the chance! In the community, Dr. Moopen has volunteered with the Dental Society of Greater Orlando to give dental health seminars at local libraries and schools. He also volunteers his time with the Central Florida Cleft Palate Team, and shares Dr. Anderson’s passion for treating these challenging cases. 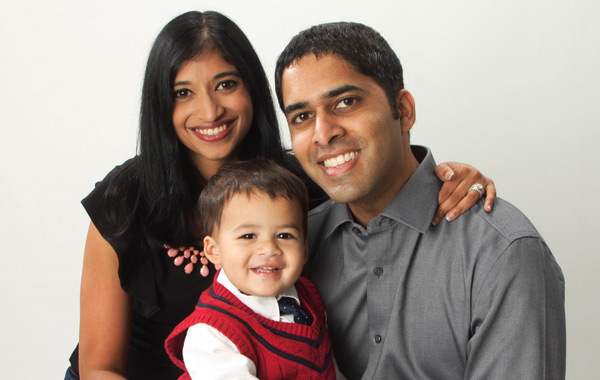 Dr. Moopen joined the practice back in 2006 after graduating with his second degree from the University of Florida. 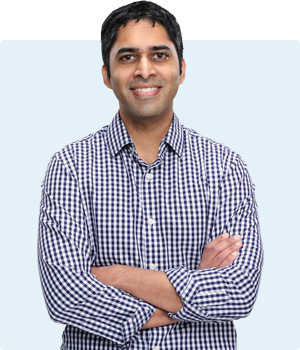 He loves the challenges of orthodontics and stays up-to-date with all the latest in orthodontic technology and treatment options. He was trained in a broad range of orthodontic systems and gained his Invisalign certification at their headquarters in California. Dr. Anderson and Dr. Moopen look forward to keeping our office in the forefront of orthodontic efficiency and providing the best care possible for our patients.